The Buick Enclave, available at our Watertown dealership near Waterbury and Bristol, is an SUV that is versatile and reliable. Check out the new 2018 Enclave Avenir trim with its maximum elegance and classic design. It has room for up to 7 passengers and 3 full rows of seats, so there is ample space for the whole family and all of your stuff. Tech aficionados will have fun with the available 4G LTE Wi-Fi and the ability to connect several devices for on-the-go entertainment. It has a six-speed automatic transmission and athletic performance, combined with safety enhancements like Blind Zone Alert to help you prevent collisions as you drive. So what are you waiting for? Pay a visit to Buick GMC of Watertown near Waterbury and Bristol. 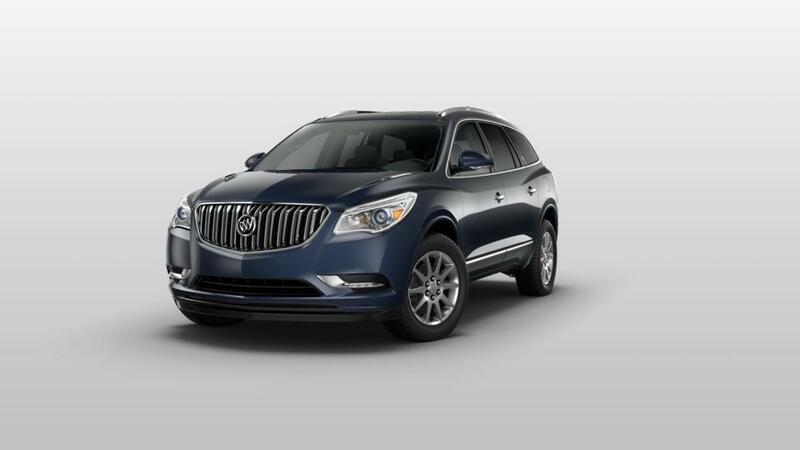 Look through our inventory of new Buick Enclave models, available at our Watertown dealership close to Danbury, to find the color and extras that you are looking for. Give us a call at (860) 631-5745 or contact us online to learn more about the Enclave leases available at our Watertown dealership.